GIFT IDEAS Christmas Gifts, Valentine's day gifts，Anniversary gifts,Engagement gifts or Wedding gift,Mom Gifts, best friend gifts, bridesmaid gifts, teen girl gifts, girls gifts,Birthday gifts. Oxidization. When silver is exposed to air, it oxidizes. The oxidization of the silver causes the metal to tarnish and take on a black tint over time. If you see black tone after a period of use, the item is sterling silver. Magnetic. Like gold and platinum, silver is a non-ferrous metal-it is not magnetic. Run a strong magnet over your item. If the item is not attracted to the magnet, it is made out of a non-ferrous metal. Keep the silver away from substances that will cause tarnish. Anything that contains sulfur will cause silver to tarnish. To prevent this from happening, keep your silver away from things like:Sweat,Rubber and latex,Food items like mayonnaise, mustard, eggs, and onions,Wool,Lotions, creams, and beauty products. Take your jewelry off. Since there are so many things that can tarnish silver, it's a good idea to remove your jewelry when you go swimming in chlorinated water or do household chores (to keep the silver away from the chemicals).Sunlight can also have an effect, so take your jewellery off any time you plan on spending time in the sun. Wipe your jewelry clean with a silver polishing cloth before putting it into storage. Store it somewhere cool, dark, and dry. 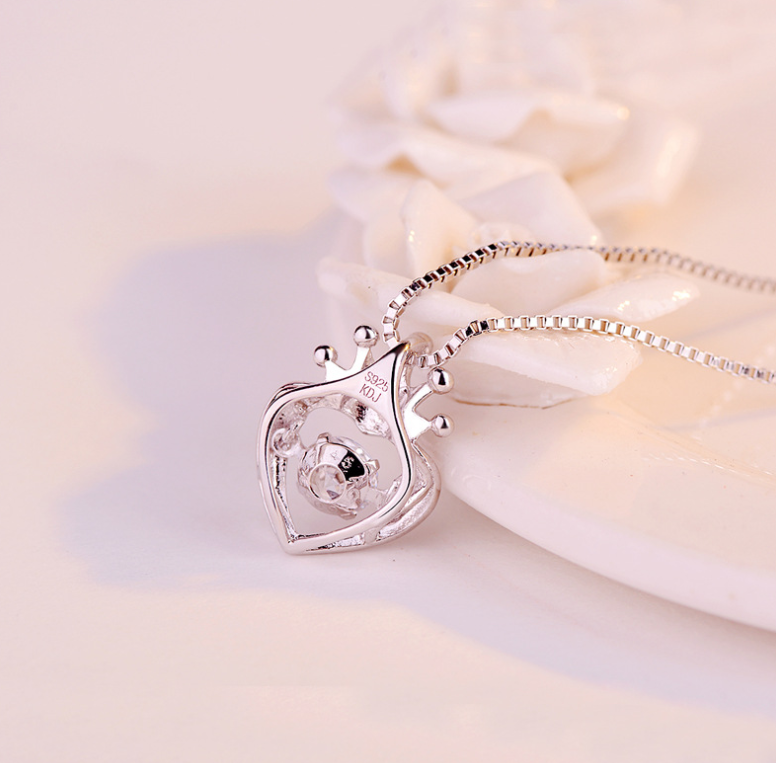 Humidity causes jewelry to tarnish faster, so the more you limit the humidity, the slower your jewellery will tarnish. Delivery: Due to high demand for this product Now, Please expect 5-12 working days for local US and 7-20 days for international Orders.